Coming soon to ITrack Pro, Billing Statements are getting an overhaul. The new report is neater and easier to read in addition to being able to run historically. It correctly shows Applied Credit on invoices and balance as of the date range end date, not the current date. The 30, 60, 90, >90 intervals at the bottom have also been updated to display correctly as of the date range end date, not the current date. Additionally, the store and customer addresses on top will fit one of the standard envelope window sizes. 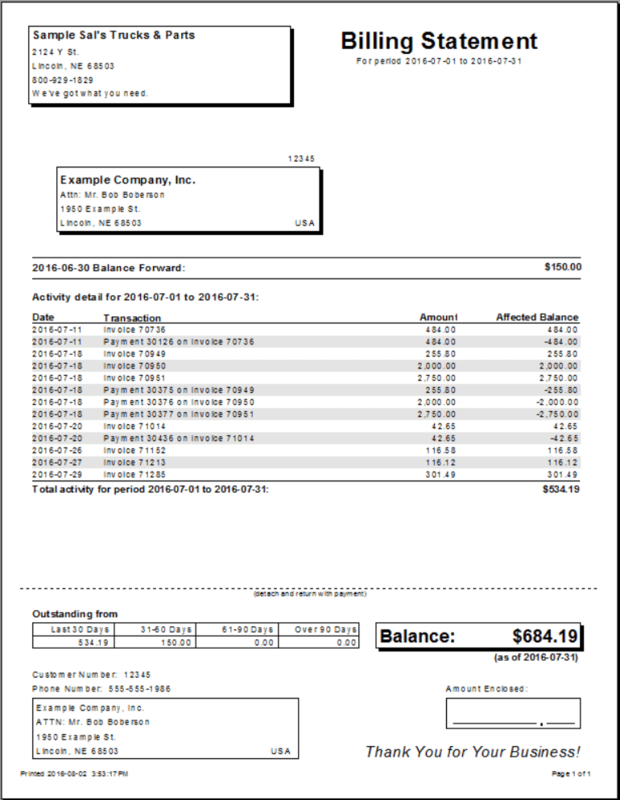 This version of Billing Statements can also be filtered by customer when run from the Report Viewer. Love your current Billing Statement? Don’t worry, we’re not replacing it yet. There will be a period when both versions of the Billing Statements, old and new, are available for you to compare. If you still prefer the older version, you can keep it. Just let us know.